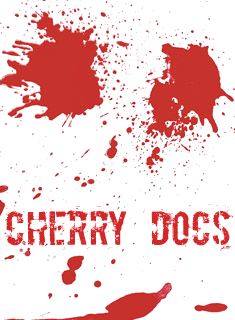 New Rep Presents New England Premiere of "Cherry Docs"
New Repertory Theatre, in residence at the Arsenal Center for the Arts in Watertown, will present the New England Premiere of "Cherry Docs" by Canadian playwright David Gow. Directed by David R. Gammons, performances will run October 17 - November 7 at the Center's Charles Mosesian Theater. When a Jewish lawyer is assigned to defend a young skinhead accused of brutally killing an immigrant man, the lawyer must alter his preconceived notion of humanity in order to discover forgiveness. In this New England Premiere, David Gow challenges audiences to examine their capacity for compassion and asks, "Is there atonement for all crimes?" "Cherry Docs" features Benjamin Evett as well as the introduction of Tim Eliot to New Rep’s stage. Kate Warner, New Rep’s Artistic Director, commented “'Cherry Docs' is an important piece of theater because it not only addresses the lasting affects of a hate crime, it also dares us to examine our own capacity for compassion and forgiveness." Gow’s plays have been produced in London, Berlin, New York City, Los Angeles, Atlanta, Memphis, Tel-Aviv, Philadelphia, Washington, Chicago, San Francisco, and more than fifty other cities around the world. He trained as an actor in Montreal, and then moved to Toronto where he became a playwright. He studied with Urjo Kareda and Andy McKim in the Chalmers Playwrights Unit, at the prestigious Tarragon Theatre. More recently, David made his debut as a filmmaker, with "Steel Toes" (based on "Cherry Docs"), starring David Strathairn and Canadian actor, Andrew Walker. His other plays include: "Bea’s Niece," "The Flight of Peter Pumpkineater," "Friedman Family Fortune," and most recently, "Wake Of The Bones," a soon to premiere piece about the Irish coming to America. "Bones" is an off-beat musical about the re-discovery of a mass grave in Montreal of 6000 Irish who had lost their lives to “Ship’s Fever” or typhoid. They were “found” again when the railway came through their grave site in the late 1850's. For information and tickets, stop by the box office at 321 Arsenal Street in Watertown, call 617-923-8487 or visit www.newrep.org. Free parking is available in the six-level garage adjacent to the Arsenal Center for the Arts.